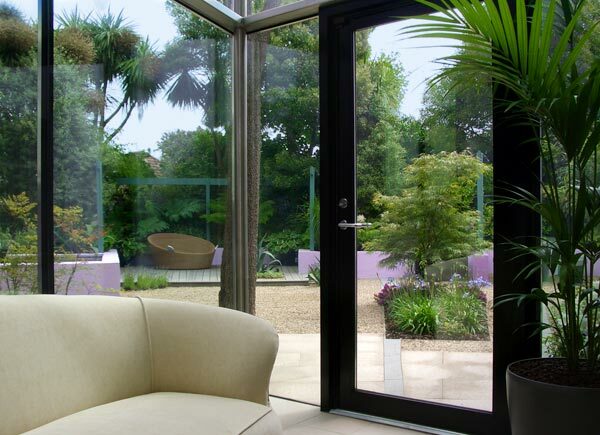 Designed for international best selling author Marian Keyes (read testimonial) and her husband Tony, the garden plan for this Dublin town house radiates outwards from an axis point within the conservatory, providing a strong physical and visual link between house and garden. Urban garden plan with a raised, child-friendly water feature with retaining walls. Marian & Tony’s brief was for an architectural design with bold use of colour. The garden plan therefore included strong colour in the wall finishes tailored specifically to match the interior décor. This was coupled with seasonal interest in the planting using a blend of spring bulbs, summer flowering perennials, ornamental grasses and selected autumn colour foliage. 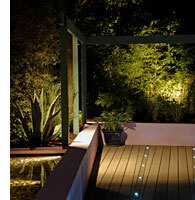 Bold colour and lighting in the decking add drama to the garden, both during the day and at night. The use of large indoor plants in the conservatory and a similar floor & paving colour gives the effect of a seamless flow between house and garden. 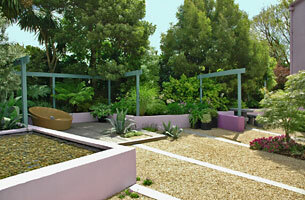 The decking area creates an excellent recreational space among the lush planting. By combining granite paving, gravel and decking, the garden design provides textural interest, while the bold architectural lines give an added sense of space and movement. 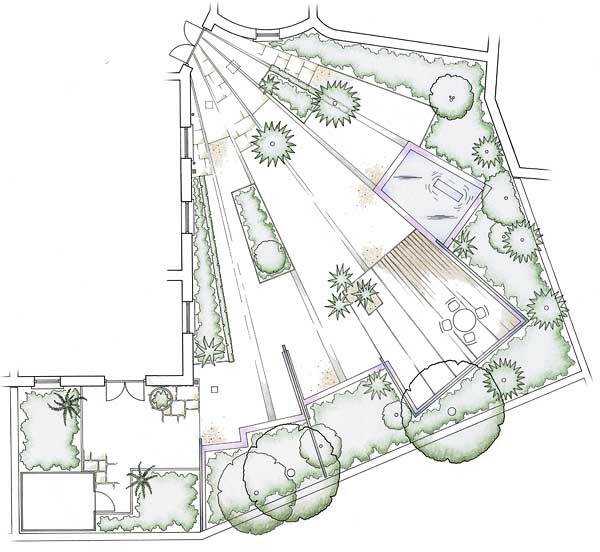 The drawing of this contemporary garden plan includes structure, planting and a raised water feature. 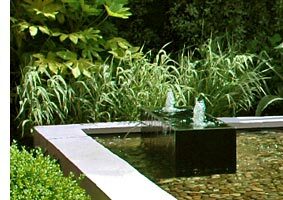 The formal water feature adds sound and movement to the garden, while also drawing on its reflective qualities during daytime to bring light to the garden. 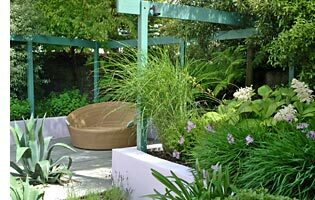 The pergola timbers draw the eye upward and lend a three dimensional element to the garden. A blend of garden lighting techniques are used to dramatise the structural features and planting at night. 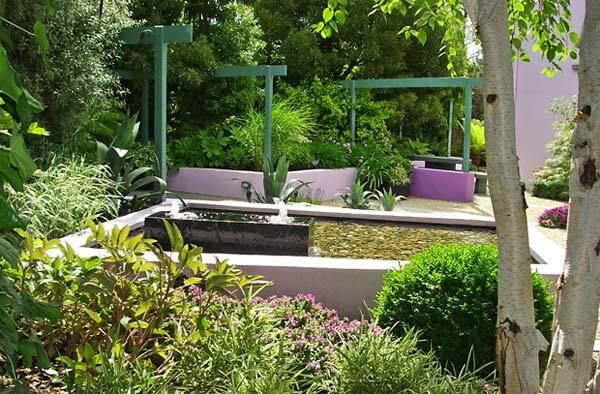 When planning the garden, the existing trees were retained to give an established feel.